Eleonora has a knack for developing software and helping people. When she does both, Eleonora accelerates solutions for MentorMate’s clients. As the Director of Compliance and Software Development, Eleonora ensures that MentorMate’s clients work with specialized teams to leverage the proper platforms that address business needs. She works directly with clients. Fluent in Java and mobile development for Android, she loves the challenge of helping developers fix complex issues together. 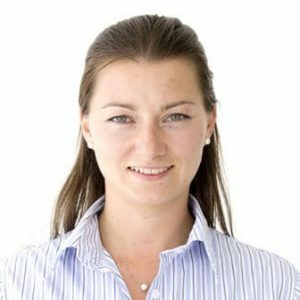 A member of the MentorMate team since its early days, Eleonora has enjoyed supporting colleagues and client in their needs and building successful Enterprise solutions.